Watch the options closely as a Chevrolet Colorado's price tag can approach its bigger Silverado sibling without much difficulty. Don't quite need a full-size truck? 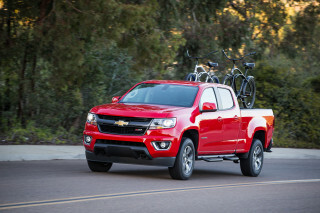 The Chevrolet Colorado makes a compelling case for the way most of us truly use our pickups. Entering its third model year, the Chevrolet Colorado has proven to be a formidable effort in the mid-size pickup segment. For the new year, the truck, which is a near-twin of the GMC Canyon, gains a new 3.6-liter V-6 engine that's the same size as last year's model but promises to be more fuel efficient and refined. 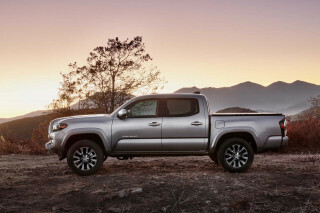 The Colorado went from an also-ran to a serious rival to the Toyota Tacoma that has long dominated this segment when it was redesigned for 2015, outclassing its nearest rival in several categories: interior space, packaging, connectivity, bed amenities, V-6 fuel economy, and even its more neutral driving position. It's available in a wide range of options, including three engines and several body and bed sizes. New for 2017 is a 308-horsepower V-6 that's sized like last year's, but features some fuel-saving tricks like cylinder displacement that lets it run as a V-4 under low-load situations. The V-6 comes mated exclusively to an also-new 8-speed automatic transmission. 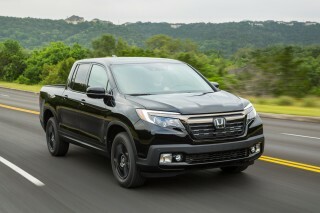 But don't count out the Colorado's base 2.5-liter inline-4, which is rated at 200 hp and offers a choice of 6-speed manual and automatic gearboxes. For many light duty users, this 4-cylinder will prove to be more than sufficient. For even more grunt that'll satisfy those who plan to tow heavy loads long distances, there's a 2.8-liter turbodiesel inline-4 that arrived last year, making 181 hp and 369 lb-ft of torque. Its fuel economy ratings top 30 mpg on the highway, while its tow ratings extend upward to 7,700 pounds in some configurations. The diesel is a pricey add-on, but it suits this truck very well. The Colorado's fully boxed frame rides atop a coil front suspension with coil-over shocks and rear leaf springs with a live rear axle. Aiding the Colorado's superior driving dynamics in the mid-size truck segment is a well-weighted electric power steering system. As with all trucks in this segment, the Colorado is available in rear- or four-wheel drive, but four-wheel disc brakes give it the upper hand over the Tacoma, as does the Colorado's long-life brake rotors. For 2017, higher trim level Colorados with the V-6 also gain a transfer case with an automatic four-wheel drive mode suitable for use even on dry pavement. The Colorado's triumvirate of trims spread across three body styles cater to just about any would-be truck owner. Both 5- and 6-foot beds can be paired with the Colorado's four-door. Those who simply desire a functional truck can make due with the extended cab Colorado and its 6-foot bed. There's even a bed delete for commercial users. No matter which cab you pick, the Colorado offers a superb interior and room for front passengers, with better materials and a more natural driving position than its rivals. In back, it's either a pair of child-safety-sized seats or cramped accommodations for adults, with bolt-upright seat backs and a marked lack of knee room, however. But it's the bed that's a bigger pickup selling point, and while it's shy on length against full-sizers, its available bed extenders allow an 8-foot object to be hauled home with minimal fuss. The Colorado's corner bumper step offer improved, easier access to its bed, while its easy-lowering tailgate ensures you won't wake up the neighbors when you drop the tailgate at 4 a.m. as you load up for a weekend fishing trip. It can be fitted with either a spray-in bedliner or a drop-in one; cargo dividers; a system of racks and carriers dubbed GearOn; cargo nets and tonneau covers; a drop-in toolbox; and of course, trailer hitches and harnesses. The Colorado's lineup looks simple at first glance, but there are many options for the WT work trucks, the nicely-outfitted LT, and the off-road-oriented Z71 with its own styling and all-terrain tires. Six airbags and a triumvirate of electronic aids in the form of stability control, trailer-sway control, and hill-start assist are standard kit on the Colorado. Z71 models, with their off-road aims, additionally add hill-descent control as standard. Bringing safety up a notch if you so choose are forward-collision and lane-departure warning systems available as options, while a rearview camera system is standard on all Colorados. On the infotainment front, all Colorados come with a USB port and touchscreen-controlled audio, while Bluetooth and a larger, 8-inch touchscreen with extra USB ports are available on LT and Z71 Colorados. If you need data on the go, GM OnStar's 4G LTE data connectivity option is there for you, as is optional navigation. As of last year, Apple CarPlay joins Chevrolet MyLink to enhance the infotainment experience for iPhone users. Looking decidedly global, the Colorado is a nice looking truck that we think is slightly overshadowed by its GMC Canyon sibling. Visit southeast Asia and you'll see a lot of Chevrolet Colorados driving around. Surprised? You shouldn't be. Just because pickups were created for the heartland of America doesn't mean that they're not popular overseas. In fact, GM is a dominant player with the Colorado in markets like the Philippines. 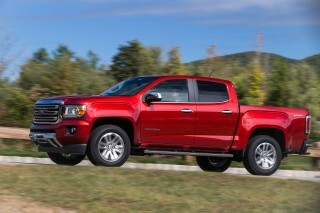 TheCarConnection.com's editors believe the GMC Canyon is the truckier truck thanks to a more rugged design, but the Colorado is still good looking in its own right. What's interesting is that it doesn't look much like the Silverado with which it shares showroom space, while the Canyon is a near dead-ringer for the GMC Sierra. 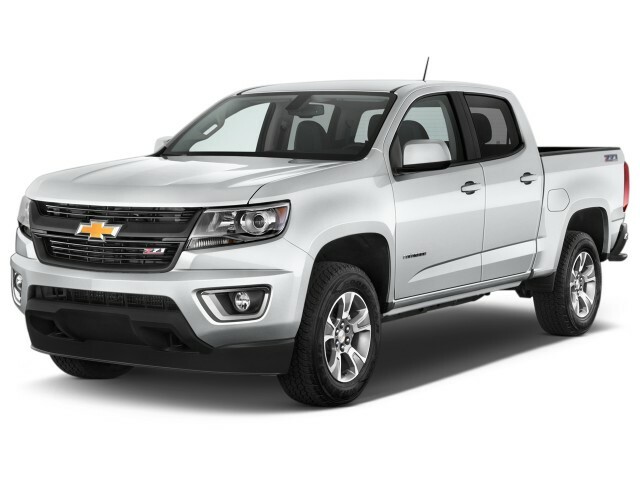 While the full-size Silverado (and its SUV cousins, the Tahoe and Suburban) have been transformed with relentlessly rectilinear lines, the Colorado adopts a smaller, slimmer grille and rising shoulder line that softens the usual pickup silhouette. Its boxy fenders make an unusual counterpoint because, to some degree, there's no way to make a truck a truck without making it look like one. Those hints reveal the Colorado's global aspirations, a look more common to trucks in Asia and South America. Inside the Colorado, there's a much closer kinship with the Silverado. It's rugged with an upscale finish, and better finishes than you'll find in any Tacoma or Frontier. There's a beefy steering wheel with lots of control buttons, a shield-shaped dash wearing the primary controls and an LCD display, and a shifter mounted on a rather wide console that splits the cabin down the middle (at least in front). It's truck-ish enough, but there's more than a passing resemblance to the latest General Motors sedans in the bolstering of the seats, the intersection of trim on the doors and dash, and even in the soft-touch, aluminum-look trim itself. The GMC Canyon, again, acquits itself a little better inside with some material and color selections, but you really need to park the two together to discern any major differences. A new V-6 should make the Colorado as competitive as ever. With a trio of engine choices, the Chevrolet Colorado offers something for just about every buyer. The new V-6 is shared with a host of other GM products, and in this application it is rated at 308 horsepower and 275 pound-feet of torque. Not only is the engine, with its direct injection and cylinder displacement tech new, but so is the 8-speed automatic transmission that accompanies it. A 2.8-liter turbodiesel inline-4 was last year's star addition, making 181 hp and 369 pound-feet of torque at just 2,000 rpm. Trust us, you'll find no shortage of available torque for easy pulling across the rev range. Properly equipped, a Colorado with the turbodiesel is rated at up to 7,700 pounds. But the more important fact isn't a number—it's how effortlessly this engine catapults the Colorado and its cargo up to speed, even at high elevations and up steep grades. With V-8-like performance at the lower end of the rev range, acceleration from the turbodiesel is near effortless and it doesn't require the dramatic downshifts of a gasoline engine when scaling steep grades. Even if you're hauling a heavy load over the Rockies, the turbodiesel's torque helps eliminate hilly drama and its optional exhaust brake makes traversing the other side a calm affair by modulating downhill speeds. Unless you're regularly exercising most of the Colorado's available payload capacity and towing capability, the 4-cylinder gasoline engine option is worth a look. With 200 hp and 191 lb-ft of torque on tap, it's acceptable for medium-speed urban duty that is the province of contractors and commuters alike. Don't immediately write it off. If you're equally into manual transmissions, you're forced into the 4-cylinder anyway—but GM's 6-speed automatic also makes the most of the four's moderate output. It's not the economy leader in the Chevy lineup—and rival fours from Toyota and Nissan match its combined fuel economy ratings—but it's a far better match for the kind of driving and infrequent hauling that a lot of truck buyers do, whether they realize it or not. The gasoline V-6 checks in at the same 7,000 pound maximum towing capacity as last year's same-size unit, which should be fine for a small boat or even a trailer with a lighter weight car on it. For 2017, Chevy has added its Autotrac transfer case, with an automatic mode suitable for any kind of pavement or dirt, to all LT and Z71 models. The work-oriented WT, on the other end, has a simpler setup that isn't meant for use on dry pavement or merely damp roads. Regardless of setup, all Colorados smooth over bumps deftly with steering that tracks mostly true. Like any body-on-frame design, there are a fair amount of secondary ride motions that make their way into the cabin, but big tire sidewalls help quell some of the roughness. With its roomy interior and nice finishings, the Colorado is an excellent mid-size truck. There's no regular cab Colorado, but that should be fine with most buyers. Instead, the crew cab offers a decent facsimile of a family car, while the extended cab offers decent in-cabin storage. Front seat passengers are treated to a big view outside and a car-like dashboard on both the crew cab and extended cab models. The Colorado has somewhat skinny front seats, but it's surrounded by good head and leg room, a well-finished dash, and lots of small storage slots, bins, and trays. 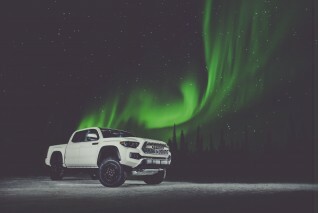 The driving position alone would convince us to upgrade: it has a higher hip point and a more natural relationship to the steering wheel—completely without the splayed-out, legs-out stance you have to adopt in the Tacoma, in particular. This may not stand out on a quick test drive, but after an hour behind the wheel, the Colorado proves far more relaxing to drive. The second row is definitely second class, regardless of cab. Pick the extended cab and a pair of jump seats occupy the space behind the front row. They're suitable for children to ride short distances, but that's about it. The crew cab has enough room for adults, but it's limited in leg room and the seatbacks are very upright. The extended cab comes with a 6-foot bed, while the crew cab offers either a 6- or 5-foot option. The bed's much better configured for day-in, day-out use. It's shy on length to full-sizers, but with available bed extenders, an 8-foot object can be brought home without much fuss. Thoughtful touches abound in the bed: there's a corner bumper step and easy-lowering tailgate on all versions, as well as some 17 tie-down spots inside the bed. It can be fitted with either a spray-in bedliner or a drop-in one; cargo dividers; a system of racks and carriers dubbed GearOn; cargo nets and tonneau covers; a drop-in toolbox; and of course, trailer hitches and harnesses. 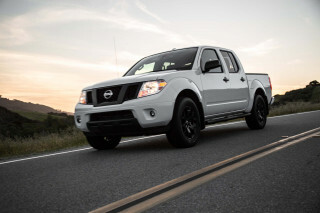 On the fit-and-finish front, the Tacoma and Frontier have a lot of catching up to do, too. The Colorado's tall console stores an iPad out of sight, while also housing the shift lever, a USB port (or as many as four), and a pair of big cupholders. The shifter location's a minor concern, as it sits close to the driver's knee, but it's a minor gripe in a cabin so well turned-out, especially for the class. Safety scores for the Colorado aren't fully complete, but federal ratings aren't too impressive. The Chevrolet Colorado hasn't been fully tested by the IIHS, but federal testers haven't been all that kind. 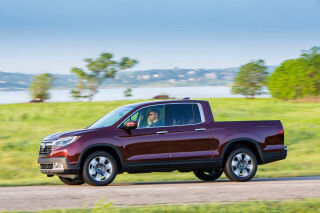 The NHTSA assigned the Colorado a four-star (out of five) overall rating to the Colorado with a worrisome three-star rating in the calculated rollover score. The IIHS gives the Colorado its top "Good" rating for the demanding small overlap front test, but it hasn't been evaluated in any of the agency's other tests. Standard equipment with the includes six standard airbags that have larger side bags meant to prevent passengers from being ejected in a rollover. Over-sized side mirrors give better visibility, and a rearview camera is standard. In addition to the standard stability-control system, the Colorado also includes standard trailer sway control and hill-descent control systems. A forward collision alert system and a lane departure system are optional on LT models, but there's no automatic emergency braking feature yet. From work truck to bucks-up off roader, there are Colorados for everyone. Though there are just three trim levels, a small number for a pickup, the Colorado offers a fairly high degree of flexibility and customization. There are three flavors: WT, LT and Z71. The WT stands for "work truck," but even its features aren't necessarily basic. All Colorados come with vinyl seats, but they also get a standard rearview camera; a locking tailgate; tilt steering; power windows; air conditioning; and an AM/FM radio with a USB port and a 4.2-inch touchscreen interface; vinyl seats. These fleet-duty trucks can also be configured with cruise control and keyless remote. You can even order a WT with a bed delete in case you want to put a flatbed back there, for instance. From there, the LT serves as the volume model, and it includes cruise control, cloth upholstery, an 8.0-inch infotainment system, parent company GM's OnStar safety and concierge services (which are included for 5 years as a basic plan but require a monthly charge afterward), a 4G LTE hotspot (that again requires a subscription), and alloy wheels. The LT offers a wide range of options, including navigation, heated seats (in cloth or leather), auto-dimming mirrors, and a Bose audio system. The Z71 serves as the flagship, but it's also the most off-road-oriented model. 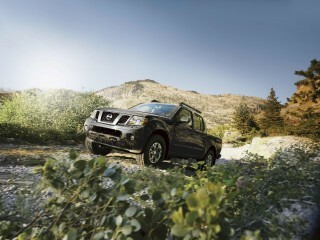 It includes hill descent control, an automatic locking rear differential, tow hooks, and all-terrain tires as standard. Only the LT can be ordered with lane departure warning and forward collision alert, however. The 4-cylinder gas engine is standard on extended cab WT and LT models, while the 3.6-liter V-6 is standard otherwise. LT and Z71s are available with the turbodiesel, but only with the crew cab body style. The Colorado is reasonably frugal for a mid-size pickup and its new V-6 helps it stay competitive. The V-6 is the most popular pick for many Colorado buyers, and in rear-drive spec it's rated at 18 mpg city, 25 highway, 20 combined. With four-wheel drive that rating slips to 17/24/19 mpg. The most fuel-efficient Colorado is the rear-wheel drive, automatic transmission 4-cylinder, which checks in at 20/27/22 mpg. Opt for the automatic and those figures drop to 20/26/22 mpg. A four-wheel drive model with the 4-cylinder is rated at 19/25/21 mpg. The rear-drive turbodiesel is much thriftier at 22/30/25 mpg, an impressive set of numbers for a small pickup. The four-wheel drive version, meanwhile, is a still decent 20/28/23 mpg.